Children are a blessing from God, and at Redemption Hill Church we have always rejoiced when God has added children to our families, whether through birth or adoption. However, as a church we want to do more than that. We want to celebrate the arrival of these children together in our Sunday gatherings, and take the opportunity to remind our parents of their God-given responsibility to “bring their children up in the discipline and instruction of the Lord” (Ephesians 6:4). 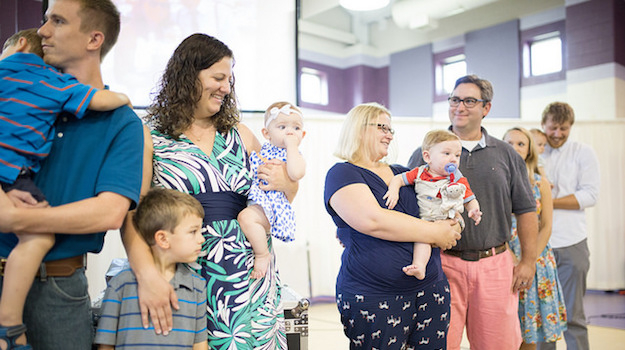 The way that we do this is through something that we call a “Parent Commissioning.” As parents come forward with their children, we will pray for these growing families, and commission the parents as we vow to support them in their efforts to be godly fathers and mothers. So, for those of you who have recently experienced the blessing of a new child, and would like to participate in our next Parent Commissioning, please register below for the service that you plan to attend. We look forward to rejoicing with you, and to encouraging you in your role as parents.